So here is one of many news items that I am excited to share: the first volume in a multi-author short story sci-fi saga that I am involved with has been released! 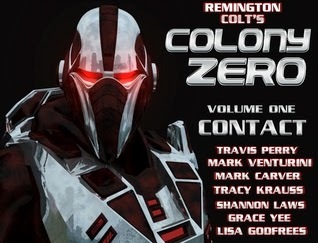 It's called COLONY ZERO and it takes place on a desolate world in the far future. Check it out on Goodreads and then head over to Amazon to pick up Volume One: "Contact" for only $0.99! Look for more installments coming soon!